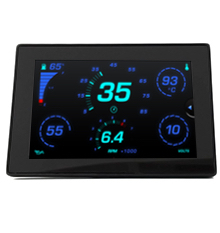 Our 2.3″ monochrome display – the M2, formerly known as the ‘CAN 230’ has established a new standard for intelligent, multi-function displays and are the perfect platform to empower your electronic systems with flexibility and control. The M2 complements the existing product range by providing market leading value for money and functionality in a very compact display. 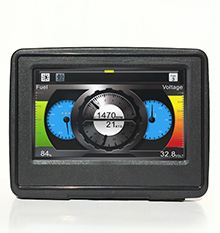 The M2 has been cost reduced in comparison to our former entry level monochrome display, the CAN 170, meaning we are able to offer the M2 at a more competitive price than ever before while also offering improved performance. 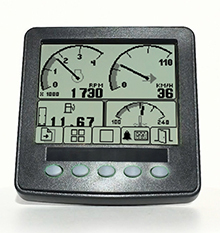 With its compact size, rugged design and CAN bus display (supporting J1939, NMEA2000, CANopen and raw CAN), the M2 is ideally suited for use on vehicles and equipment such as small construction machines, generators, agricultural and industrial equipment, and offers easy integration into third party CANvu-based systems. 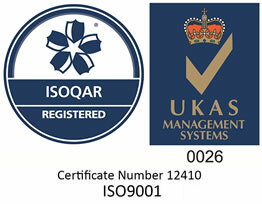 The M2 has a Software Development Kit (SDK), allowing you to create completely custom software suited to your specific application, or, if you have limited time and resource, then our team of experienced engineers can develop the software to your exact specification. 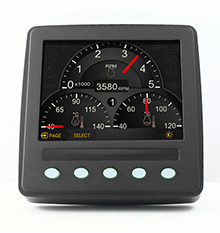 Where suitable, the M2 display can be combined with the Veethree Engine Monitoring J1939 TIER4 ready software, allowing the user to easily monitor critical engine parameters such as oil pressure and water temperature, as well as providing an alarm system to alert the user when the ECU detects an engine fault. 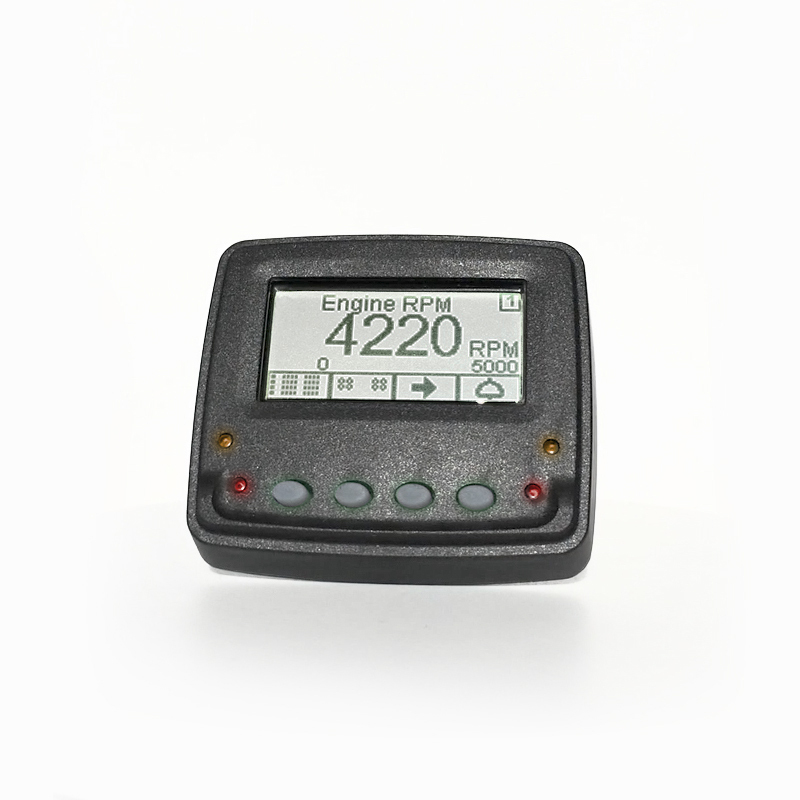 2.3' Graphical high resolution Dot Matrix LCD Display. 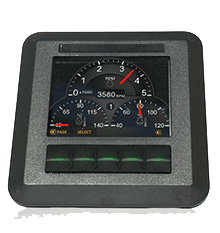 4 buttons provide easy navigation through software screens. LED warning light to notify operator of vehicle/engine fault. 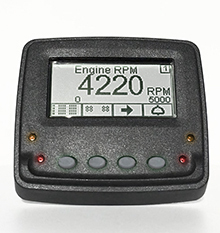 Alarm Output and Fuel Sensor Input standard. 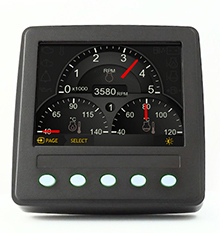 Icon, Bar-Graphs and Alphanumeric display.